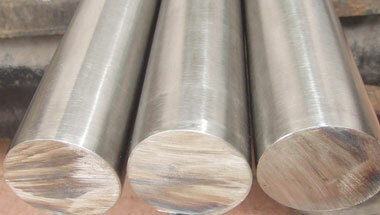 Inconel Alloy 625 Round Bars & Rods Manufacturer, Inconel 625 Round Rods Supplier & Exporter in India. Manufacturer & Exporter of Inconel Alloy 625 Round Bars & Rods, Alloy UNS N06625 Hex Bars, Inconel 625 Square Bars & Alloy 625 Round Rods Supplier in India. Inconel 625 round bar are highly appreciated for its dimensional accuracy, superior finish, quality, durability and high tolerance. With the aid of our experienced team, we Neon Alloys are devoted towards providing an exquisite range of Inconel 625 Round Bar & Rods. Our Inconel 601 Round bars & rods used in various industrial applications industries ranging from basic industries such as Sugar, Paper, Textile, Dairy, and Engineering to more complexes such as Oil & Gas, Petrochemical, Chemical & Fertilizers, Power Generation and Nuclear Industries etc. INCONEL Alloy 625 is a nonmagnetic, corrosion - and oxidation-resistant, nickel-based alloy. Its outstanding strength and toughness in the temperature range cryogenic to 2000°F (1093°C) are derived primarily from the solid solution effects of the refractory metals, columbium and molybdenum, in a nickel-chromium matrix. The alloy has excellent fatigue strength and stress-corrosion cracking resistance to chloride ions. Some typical applications for alloy 625 have included heat shields, furnace hardware, gas turbine engine ducting, combustion liners and spray bars, chemical plant hardware, and special seawater applications. Inconel 625 round bar offered by Neon Alloys has zero rejections. Firmly believes in catering to the needs of the customers by way of supplying genuine, tested materials at extremely reasonable rates. Inconel Alloy 625 Rods, Inconel Werkstoff Nr 2.4856 Round Bars, Inconel 625 Round Rods, Inconel Alloy 625 Hexagonal Bars, Alloy 625 Bright Bars Supplier & Inconel 625 Bars Exporter in India. Trinidad and Tobago, Mozambique, Indonesia, Iraq, Mexico, Morocco, Colombia, Sri Lanka, South Africa, Brazil, Kazakhstan, UK, Dubai, Turkey, Uganda, London, Malaysia, Italy, United States, Houston, Peru, Democratic Republic of the Congo, Africa, Angola, Chine, Egypt, Ghana, Argentina, Israel, UAE, Venezuela, Iran, Kuwait, Algeria, Russia, Australia, Nigeria, Saudi Arabia, Cameroon, Thailand (Bangkok), Tunisia, Azerbaijan, Jordan, Bahrain, Canada, New Zealand, Sudan, Ethiopa, Vietnam, Germany. Hong Kong, Cairo, Soweto, Ouagadougou, Brazzaville, Port Harcourt, Casablanca, Yaoundé, Giza, Colombo, Byblos, Lagos, Abidjan, Dubai, Riyadh, Conakry, Manama, Johannesburg, Abu Dhabi, Bulawayo, Dammam, Antananarivo, Port Elizabeth, Fez, Luanda, Kaduna, Bethlehem, New York, Harare, Maiduguri, Dakar, Mecca, Benin, Kano, Lusaka, Jerusalem, Addis Ababa, Nairobi, Tel Aviv, Kampala, Subra al-Haymah, Mbuji-Mayi, Rabat, Tehran, Zaria, Ibadan, Kolwezi, Kinshasa, Cairo, Dar es Salaam, Tripoli, Istanbul, Data from the UN, Cape Town, Pretoria, Algiers, Muscat, Doha, Sharm el-Sheikh, Beirut, Lubumbashi, Durban, Singapore, Amman, Jeddah, Freetown, Omdurman, Accra, Khartoum, Maputo, Mogadishu, Bamako, Aqaba, Douala, Alexandria.